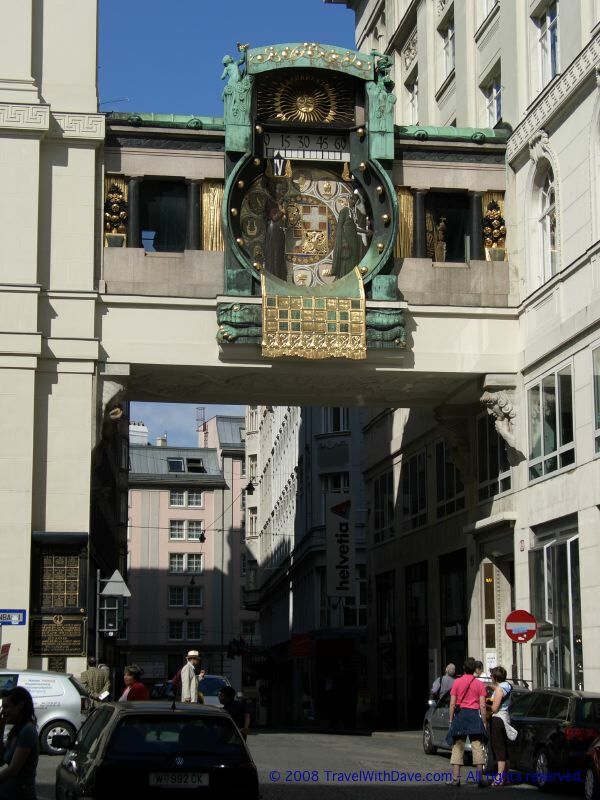 This is the Anker Clock in Hoher Markt, the oldest square in Vienna. The clock, completed in 1914, offers a procession of a different historical figure each hour. At noon, however, all the figures parade across over a period of almost fifteen minutes.